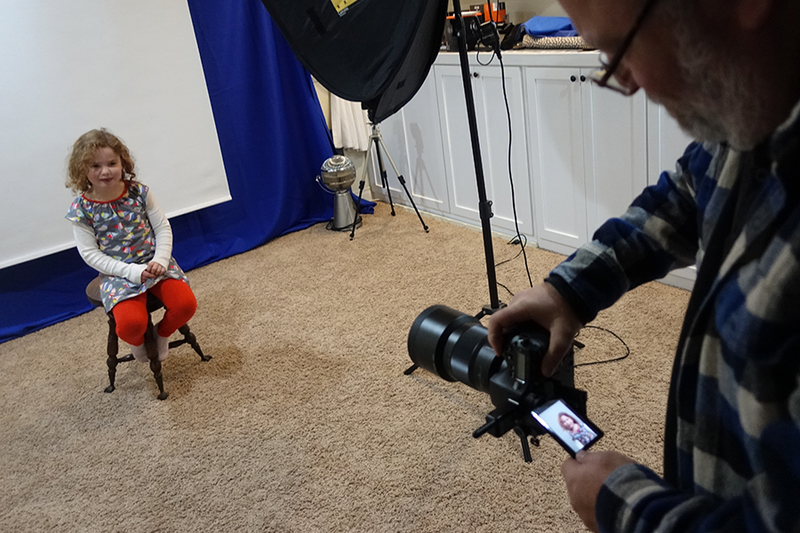 1) Twist and flip display lets you shoot kid portraits at eye level without having to get down on the floor. I shoot children's portraits a lot in the studio. The twist-and-flip display allows me to shoot vertical portraits at eye level and still stand comfortably. 2) Twist-and-flip display lets you see how you're framing your shot when you're shooting video. Here I am shooting a Xaphoon promotional video. I shoot a lot of youtube videos, and in all of those productions I'm the cameraman, sound man, lighting director, and orator. In these situations it's extremely helpful to know that I'm framed properly, both for the wide and close-up shots. The twist-and-flip display lets you see your composition from the front of the camera. Ever shoot events in a darkened room? 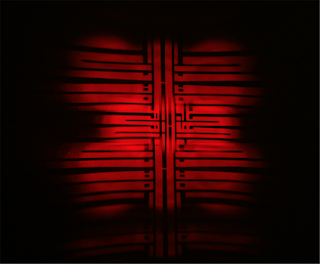 When the ambient light is too low for the autofocus mechanism to work properly, the built-in near-IR L.E.D.s in all accessory flashes (and some camera bodies as well) can project a contrast pattern onto your subject, thereby giving your camera’s autofocus system the contrast it needs to focus quickly – even on featureless, blank walls. 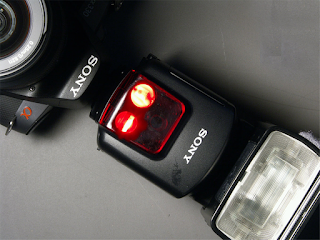 This feature is disabled completely when your accessory flash is attached to an E-mount body. The reason is that the phase-detect sensors in a mirrorless body sit behind an infrared filter that's laminated on top of your sensor, robbing it of most of the wavelength the AF illuminator puts out. Sony's solution is to just put a white LED on the front of its flashes now, which doesn't project a pattern and frankly just annoys everybody. If I'm doing event photography in a darkened room, I'm using my A-mount. 4) I can use my super-sharp 135mm f/1.8 lens with Eye-AF. Because, you know, bigger cameras take better pictures. 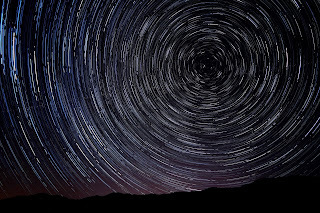 Astrophotographers are the ones who really appreciate this. 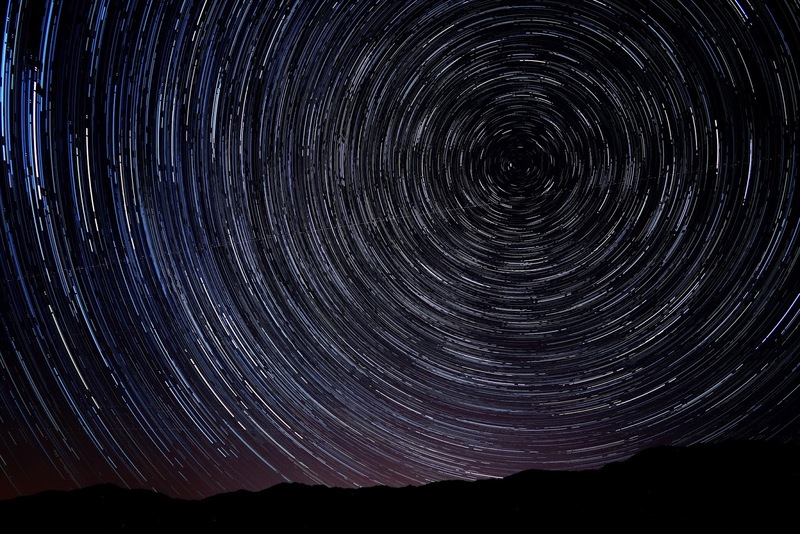 When you're setting up your camera in the dark, you need to move your lens' focusing ring to infinity. But native E-mount lenses, all being focus-by-wire, don't have a hard stop. You're supposed to turn the ring until the camera tells you you're at infinity, but if you've ever tried that in daytime, you'll see the definition of "infinity" to be extremely sloppy. The old fashioned lenses have a hard stop and marking on the lens barrel (sometimes through a window). 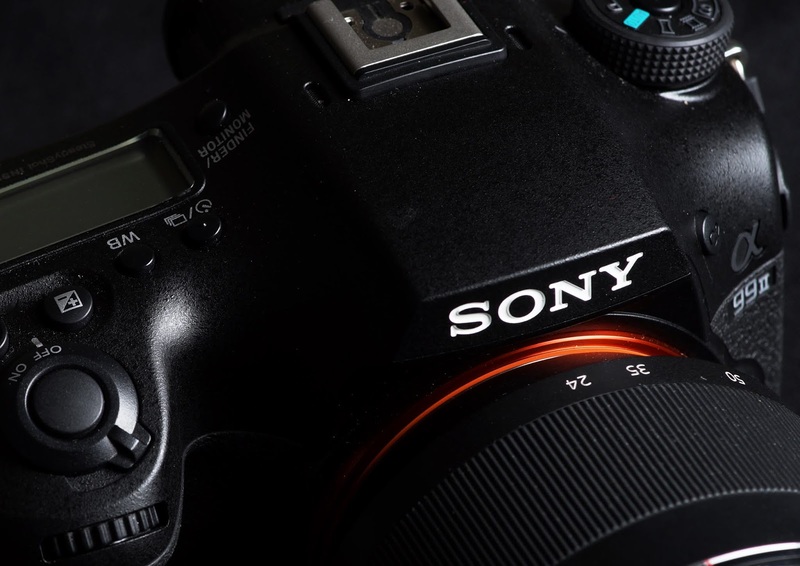 Sony has overcome this "E-mount drawback" by investing a boatload of R&D money into AF abilities and now, starting with the A9, can now focus track as good as any high-end camera. Mind you, the A99 II and A77 II still do a respectable job; but my newer E-mount bodies can now do it better. But due to a technical requirement, the A-mount insists on shooting video with Autofocus at f/3.5 (or as close as it can get). On a bright day that can result in a washed-out scene, even at your lowest ISO. Here, the E-mount platform, which was designed from the ground up for video, excels. Outdoors on a bright day is not the A-mount's strong suit when shooting video. 3) Eye-AF requires a separate button press. It's a slight annoyance. Newer Sony E-mount bodies can invoke Eye-AF automatically. "AAAAUUUUGGGHHH!!!" The world went nuts when they read about that tradeoff, but it's only an issue in theory. I've used SLT cameras in every situation around the world; never have I found myself saying, "Damn! If only I had 1/3rd of a stop more light to work with!!". (Never!) Dpreview even hunted mightily for visible artifacts of having that mirror there, but found nothing. Once when I was in Malaysia talking to the head of the Alpha group there, I was told that it took 5 companies to develop that material. They worked hard to make sure there would be no visible artifacts. Having had a few days to reflect on this last weekend, I have come to firm conclusion that your seminar was the best I've ever attended. I learned and re-learned so many things, and it was just plain fun. Kudos to you, sir. 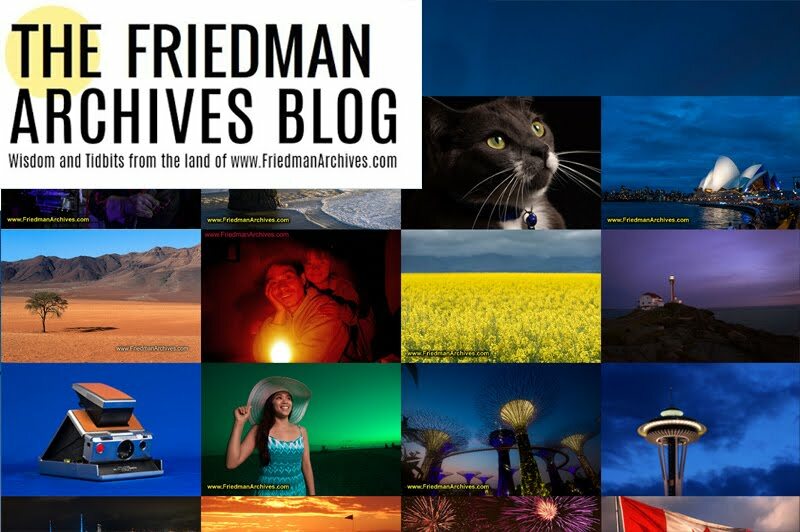 E-mail me at Gary at Friedman Archives dot com if you want to be on the notification list. Are you a member of a photo club? I'll speak to your club for FREE, anywhere in the world! Ask me how. Seminar Home Study Seminar is on Sale! You've been hearing about the seminars from me since the beginning of time; isn't it time you discovered what all the fuss is about? Real technique, taught by a guy with a great track record of making complex things easy to understand. You can learn more about the home study course by clicking here. You can get 10% off until mid-December by using discount code hag2018 . Makes a great gift for that other photographer in your life! Seriously, many experienced photographers have told me how much they got out of it over the years. Product photography can be a trial-and-error process. And I believe that it's beneficial to show you all of my trials in the process so you can learn from them. Looks straightforward, right? I had a miserable time taking this shot, although you'd never know it by looking at it. The softbox is a little dark. Sorry; I was concentrating on the shot at hand and often completely forget to take BTS shots. Finally, I got behind the counter and did my very best Mario Batali impersonation by putting on a fleece vest. But the knife I was using wasn't showing up - it was either too dark or too shiny (shiny objects are the pitts when you're trying to control everything). Here the blade didn't show up at all. Here it reflected the light from the softbox, making it the brightest thing in the image. Your eye naturally gravitates toward the brightest object, which means this knife blade was a distraction instead of merely background. I finally solved the problem using a ceramic knife, which has no actual benefit other than they are more photographable when used as props. :-) Sony A99, Minolta 85mm f/1.4 lens, ISO 100, 1/200th, f/3.5. Wireless flash powered by Minolta 5600 flash set to manual output, 1/2 power. Ditto Ditto Ditto they'll have to pry my A99II and A77II from cold dead hands. Just wish I could afford a killer super-telephoto lens lens like Sony 500 f/4 or 300 f/2.8. I have 70-400 f/4-5.6 G2, it's nice but with 2.0 TC won't AF and I have an adequate albeit old Tokina IF 100-300 f/4 (weighs a ton). I have a nice 1st gen Tamron f/2.8 28-75 and a decent semi-wide angle to telephoto 28-200 but I'd like a nice f/2.8 or f/1.4 prime 85 or 100 mm lens. Anyone got one they'd like to sell? Write me at ggivensjr@gmail.com. Gary, thanks for the article. And oh, by the way, I can't get response from Kilpatrick about F2/Camercraft back issues. Can you mention to him or is there someone else? Happy Holidays and safe journey. I agree with almost everything you said (except the part about having a bigger camera impresses the wedding clients, I impress them more by being able to lift my camera at the end of the wedding, now that I am shooting with E-Mount, versus at the end of the day when I shot with an A99 and A77II all day). But as much as I loved my A mount cameras (and I owned 8 of them from the A100 up to the A99), The E mount is just so superior in focusing speed and accuracy, Low noise levels at high ISO, and incredible sharpness with these newly designed lenses. It would be impossible to go back for me. I could never shoot portraits at f1.4 and get acceptable results with my A mount gear, much less than the Extrodianary results I can get with the 85mm f1.4 G Master and my A7RIII. Great Article as always, Gary. I really liked the food photography lesson where you overcome initial frustrations. Good luck in Vietnam, have a safe trip and Hanukkah Sameach! I don't get eye AF witht he 135 even though I set it up. How do you do it? I use the depth of field preview button for Eye-AF because it's readily in reach and I never use it for its intended purpose. With my a99ii and a77ii it is quite possible! I hold my big lenses close to the lens mount on the camera with the palm of my left hand cradling the lens where it mounts to the camera. This gives plenty enough to reach the dof button which is just to the bottom right of the lens mount when holding the camera in shooting position. I don't have E mount cameras so don't know where the dof preview button is located. If I am handholding a big lens I am always holding my left hand just under the lens mount. In that way I am using my elbows, left and right, as support against my body. However, I seldom handhold a big lens (over 200mm or more and f/2.4 to f/4) I typically use a monopod or full tripod. Hi Gary I also have the Minolta 5600 flash do I need to get the adaptor so I can make it talk to my a7711 it talks to my a57 without any problems. No adapter needed; the A77 II's pop-up flash speaks the same protocol as the A57. Just put the flash into "Wirelss" mode via the controls on the rear of the flash, make sure your A77 II is in Wireless flash mode, and shoot away! Hi Gary, are you referring to Sonar T* 135 f1.8 ZA? Hi Gary, great to see that you've given advantages of A mount, a couple of which I was not aware of. Do you know what the "technical requirement" is that limits video to f3.5 by any chance? Phase-detect AF evolved during the days of SLRs, when the lens stayed open all the time to make the optical viewfinder as bright as possible. The arrays used in modern A-mount cameras continue that tradition. I reckon with some more research a new array could be made that does away with that requirement, but right now that's where the limitation comes from. I don't know why it insists on f/3.5, though - even if you have an f/1.4 lens attached. Gary, it was very timely today to receive your email. I have the A99ii and a full set of lenses that I have been considering parting with lately, including my Sony 500 F4. I picked up the A9 and now seldom use my stable of A-Mount equipment. As always thanks for your books and these articles. Have a great fall. If you're considering selling the 500 f/4 tell me what you'll take for it? Thanks Gary. It almost seems like Sony have forgotten us A-mount users. For example there has been no software update on the A992 since it came out (could use one re overheating issues). The ergo is the big item for me but you have listed other attributes that never occurred to me. Yes it does seem as if the A mount is forgotten, but the reason is that with the E mount Sony has a real chance of becoming the number 1 camera manufacturer in the world (which had been their goal since they bought Minolta). That was never going to happen with A mount. To this goal, they are well on their way. In fact in the US from January 2018 through June 2018 42% of All Full Frame cameras sold were Sony. They overtook Canon for 6 months in a row. This has not been done by anyone in the last 20+. there have been times that Nikon has taken the sales lead for a month or so, but it always goes right back to Canon. 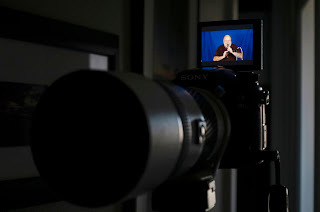 This shows the power of the new technology of mirrorless (The Sony A mount is really kind of 1/2 the way to mirrorless and has several of the same advantages over DSLRs that the E mount does). Gary, that is an interesting read 3 and a half years later. Apparently Canon and Nikon now see Mirrorless as a threat and also their future, I wonder if they could go back three years if they would try to speed up their development of their mirrorless cameras. The cameras they have shipped are definitely a generation or two behind Sony. I always knew you were a smart cookie. I consider myself a peripheral visionary -- I can see into the future, but only at the extreme edges. Seem to recall Minolta had infrared on body of camera as well? 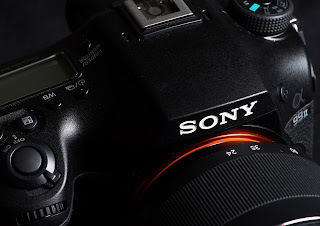 Sony did too on some of its bodies, like the A700 and original A99. Ever thought of a seminar across the border in Canada ie Toronto? I do seminars in Canada all the time! Watch this blog for updates. And contact me if you're a member of a photo club. Whoever Unknown is, Mind you just my humble 2 cents (US) but I am surprised you can get anything sharp except the tip of a nose at f/1.4 85mm. So what's the dof at 10 feet shooting f1/4 85mm? On a full frame 35mm camera it's something like 11 cm (4 in) and on APS-C it's something like 7 cm (3 in)? It always astounds me that someone shoots portraits at f/1.4 or even wants an ultra-sharp portrait. Most normal people don't want every pimple, wrinkle, and pore showing on their face. Besides, you end up fixing too many blemishes in post when a portrait is that sharp. Regarding "infrared" AF assist light... 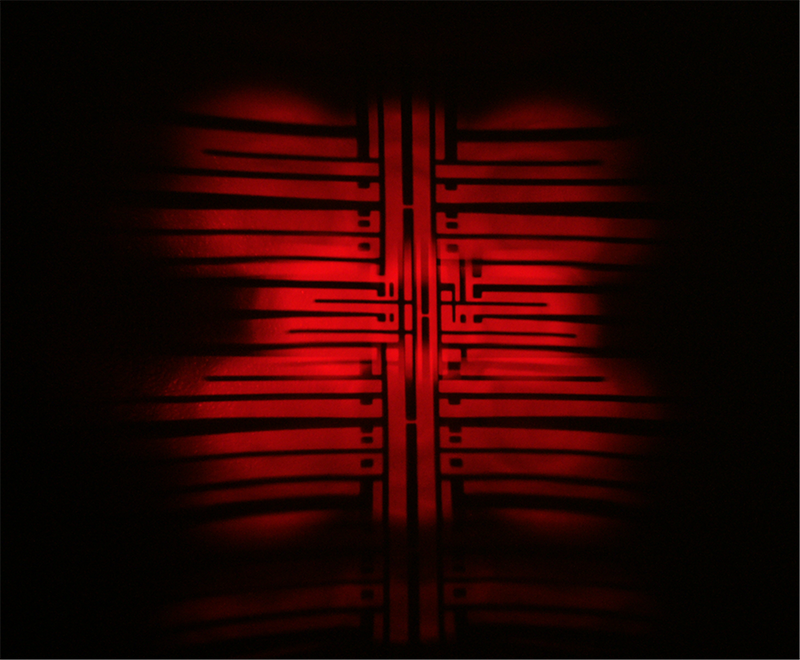 It's not infrared or near infrared, it's quite visible red and in fact, if you took a long exposure, you'd notice it shifts towards yellow rather than staying pure red. In fact, if it were near infrared, you'd notice a slight purple tint. The obvious reason is that all lenses have a different focusing distance for infrared wavelengths than for visible light. So much that it would cause noticeable OOF softness in visible wavelengths. 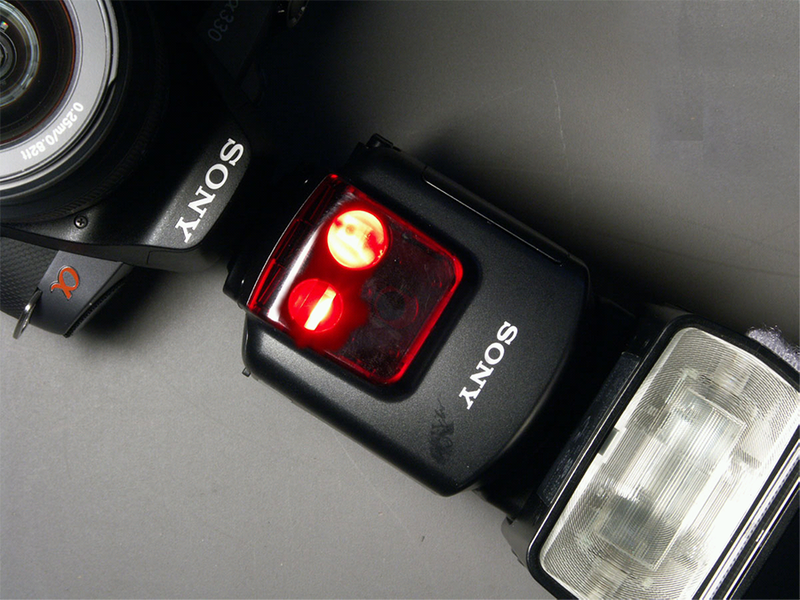 The main reason why the AF assist light is not used with mirrorless is that only blue pixels are dedicated to OSPDAF. Since they're tinted, they're almost completely insensitive to red light, so there's no benefit. Making the AF assist light blue would probably cause even more distraction than using a white LED. I figure that focus assist light issue will eventually be solved in a more elegant and non-distracting manner, possibly by dedicating some green and/or red pixels to OSPDAF you'll get, say, 9 "AF points" in some critical spots in the image, and this might then be sensitive to red, green or yellow AF assist. Thank you, toughluck, for these wonderful technical insights! Everything you say makes perfect sense. I got the "near IR" term from Minolta's original marketing for the A9000 and its flashes. But you're right; if it were using the IR portion then the focusing would surely be off. Great points Gary. As someone who has both A-mount and E-mount systems I can see the advantages of both but typically enjoying shooting A-mount more for everything but landscapes. Doesn't look like A-mount is going to receive much support going forward since they haven't released any firmware updates for the a99ii yet. Hopefully they'll give A-mount users a logical path to transition to E-mount with some larger bodies and a upgraded LA EA5 adapter. I'm sure you know, but for clarification, "Unknown" is probably referring to the SLT A-mount camera being "1/2 way to E-mount". Totally agree. I'd even say AF stands up... Have a subject walking towards you and just let it take shots and see total number of in focus shots you get on e compared to a. Also easier by far to produce quality wide angle lenses for a-mount due to distance and diameter of mount. Sony are missing a trick here. E-mount has won for aps-c, no doubt but e-mount does have limitations for full frame. So personally I suggest sony should keep e-mount as it is, aps-c with a few high end ff options as they currently do. A-mount should do away with most of aps-c focus (maybe have a entry level abd mid level aps-c. However they should look to introduce a range of full frame a-mount. Mid level, advanced and pro levels. Even some optomised models (landscape, Astro etc). Figure out how to make a mid priced full frame. I always wanted full frame a-mount but 99 range out of price so find a way to have 77 and 66 price point full frames (maybe loose stability in 66 model). So bring our a FF 77, a FF 66 and then another 99 upgrade. Make a-mount the go to full frame system with lower price entry points. In fact i always expected most full size dslr's to go full frame as costs for tech came down but it never happened. Well sony you have the tech, go do it cos your missing a big trick putting all your ff/pro eggs in e-mount basket and juat having 99 as only a-mount full frame and zero cheaper entry point. I love the A-mount, & I totally agree with Mr Friedman and his reasons. 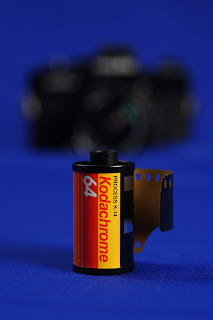 I only decided to use the A-mount so as a continuation from my Minolta SLR (9000AF - which I still use after 35 years). You can enjoy picking up some really good lenses cheaply, thanks to Minolta, that my kids reckon are more reliable than I am for their age! My A-mount usage only started as a 'can I get the hang of DSLR or not' and after 12 years I'm still deciding thanks to my new A99ii and Mr Friedmans Blog. I am decided to go for a new A99II because there are so wonderful old lenses (MINOLTA of Course)that you get for a handfull of bucks (MInolta APO 100-300 for example, etc etc). On the other Hand i use e-Mount for all experimentel lenses i own(Leica-R, etc). Here you could use all Minolta Lenses manually (i own a LAR4)and with all this oldfashioned benefits ! I must say how much I have been enjoying your "The Guide to Sony's A99 II" book, and the fact that a purchase includes both PDF, ePub and mobi formats! The PDF is the best-looking one, but surprisingly, the PDF file does not include bookmarks even though the ePub and mobi versions do. Would you please consider adding bookmarks to PDF formatted files in the future?